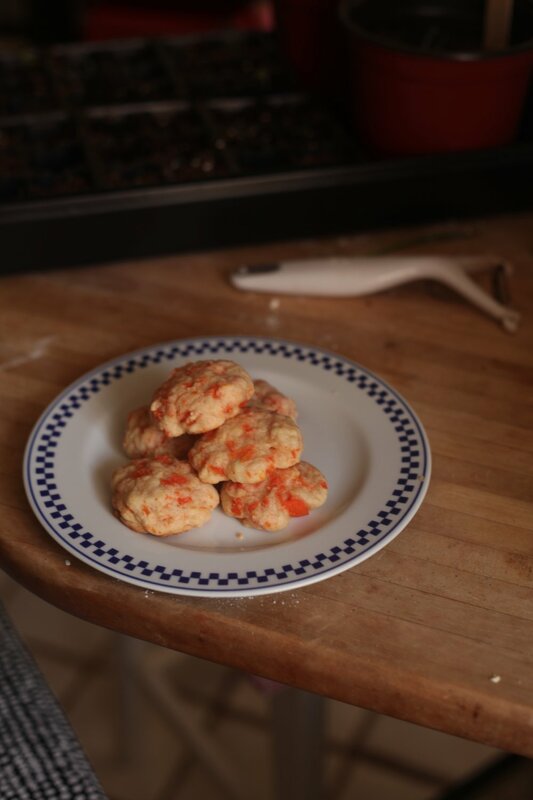 This carrot cookie recipe is based on one from my mom (Mindy) & favorite aunt (Mimi). I grew up eating these cookies, and they're just as delicious to 25 year old me as they were to 5 year old me. These carrot-based cookies are quick, moist, cakey, and get at least one vegetable serving checked off the list. We all like carrot cake, and there's a definite opportunity for carrot crossover into other desserts. This recipe fills that void. They're not too sweet, but not too vegetable-y either. Yes, you can eat them for breakfast. This dough will be sticky. Don't worry about rolling it into perfect balls - these are drop cookies! If you want to firm the dough up a bit, pop it in the fridge for 20 minutes. Want more texture? Throw in the 1/2 cup of toasted chopped walnuts. *Special Equipment: None - this recipe's quick & easy! Preheat the oven to 350 degrees F and line a baking sheet with parchment paper. Bring a medium pot of water to a boil. Prep raw carrots (~1/2 pound): peel and cut off tops, then chop into 1 inch sections. Boil for 15-20 minutes, until tender. Drain, then mash. No need to mash them perfectly smooth - personally I love some chunks in my cookies. Set aside to cool slightly. In a medium bowl, whisk the flour, baking powder, and salt. Cream butter and sugar until light and fluffy (about 2 minutes). Beat in vanilla extract and egg until mixed well. Add the dry ingredient mixture and mix just until combined. 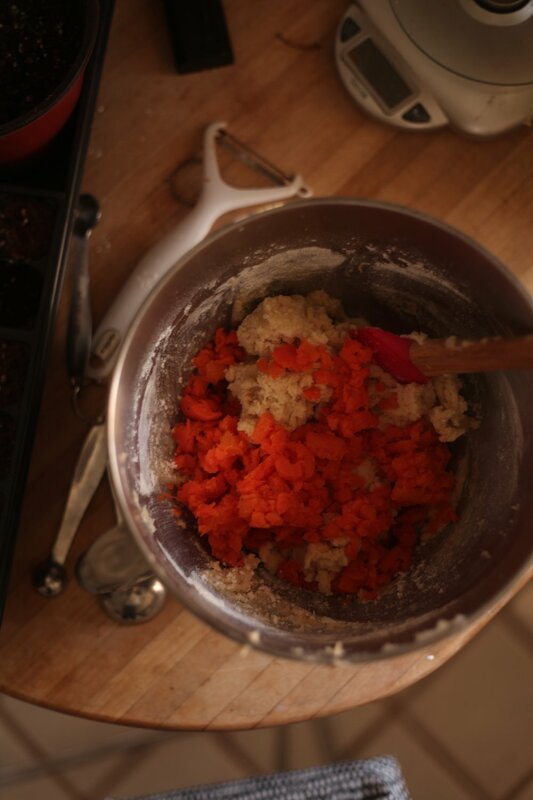 Stir in cooled mashed carrots by hand. Drop by rounded tablespoonful on your prepared baking sheet. Bake for 10-12 minutes, until firm and slightly golden. Remove from oven and cool on a wire rack. Low maintenance & flexible iced oatmeal cookie, chock full of brown butter. A hybrid of a cloud-like Amish sugar cookie and a rich & moist olive oil cookie.